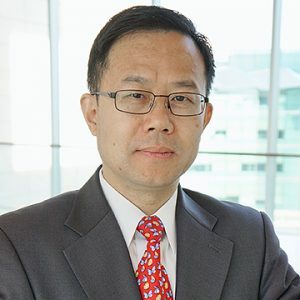 Dr. Fei is a Full Professor of Bioengineering and Radiology and Cecil H. and Ida Green Chair in Systems Biology Science at the University of Texas (UT) at Dallas and UT Southwestern Medical Center. Before he was recruited to Dallas in 2018, Dr. Fei was Associate Professor with tenure in the Department of Radiology and Imaging Sciences and Department of Mathematics & Computer Science at Emory University where he was Director of the Precision Imaging – Quantitative, Molecular & Image-Guided Technologies Program and Director of Quantitative Bioimaging Laboratory. Dr. Fei was a Georgia Cancer Coalition Distinguished Scholar, served as a faculty member, and mentored Ph.D. students in the Joint Department of Biomedical Engineering at Emory University and Georgia Institute of Technology in 2009-2018. Dr. Fei received his Ph.D. and M.Sc. degrees from Case Western Reserve University in Ohio. With a prestigious scholarship from the U.S. Department of Defense Congressionally Directed Medical Research Program, Dr. Fei completed his post-doctoral training at the same institution. He was Assistant Professor in the Departments of Radiology and Biomedical Engineering at Case Western Reserve University in 2005-2008. Dr. Fei received numerous awards at the national and local levels. In 2013, Dr. Fei was selected as a Distinguished Investigator by the Academy for Radiology & Biomedical Imaging Research. In the same year, he as a faculty member received the Emory 1% Award. In 2010, he received the Young Investigator Award from the Society of Nuclear Medicine and Molecular Imaging. He was a recipient of the U.S. Department of Defense Post-Doctoral Traineeship Award. He was recognized as a Distinguished Scholar by the Georgia Cancer Coalition and the Governor of Georgia in 2009. Dr. Fei is a national leader in quantitative imaging and image-guided interventions. He serves as Conference Chair for the International Conference of SPIE Medical Imaging – Image-Guided Procedures, Robotics Interventions, and Modeling from 2017-2020. The SPIE Medical Imaging Conference is the internationally recognized premier forum for reporting state-of-the-art research and development in medical imaging. Dr. Fei served as the Chair for the National Institute of Health (NIH) Study Section ZRG1 SBIB-J (56) on Imaging and Image-guided Interventions and as co-Chair for multiple NIH and Department of Defense (DOD) Study Section Panels. He served as an Associate Editor for Medical Physics, an Editorial Board Member for the Journal of Biomedical Optics and other five journals in the field of biomedical imaging, and a reviewer for more than 20 international journals in medical imaging. Dr. Fei is a Senior Member of the International Society for Optics and Photonics (SPIE) and the Institute of Electrical and Electronic Engineers (IEEE). He is also a member of American Association of Physicists in Medicine (AAPM), World Molecular Imaging Society (WMIS), and Society of Nuclear Medicine and Molecular Imaging (SNMMI). Dr. Fei has published more than 200 peer-reviewed journal papers, full-length conference proceedings, and book chapters. Dr. Fei served as Principal Investigator (PI) of 20 research grants from the National Institute of Health (NIH), Department of Defense (DOD), foundations, industry, state and local programs, and other agencies. He also served as co-investigator for more than 17 other funded grants. Dr. Fei led and completed a first-in-human clinical trial on PET/ultrasound fusion targeted biopsy of the prostate and contributed to the improvement of prostate cancer detection and patient care. Dr. Fei currently serves as PI for three active NIH R01 grants. The titles of the three R01 grants are listed as: 1) Molecular imaging directed, 3D ultrasound-guided, biopsy system (R01CA156775), 2) Image-guided intravascular robotic system for mitral valve repair and implants (R01HL140325), and 3) Academic-industrial partnership for translation of PET/TRUS guided intervention (R01CA204254). Dr. Fei enjoys mentoring undergraduate and graduate students, post-doctoral fellows, and visiting scholars when they undertake research projects. His graduate students received multiple national awards at the International Conference of SPIE Medical Imaging and other organization. His trainees have become faculty members in academic institutions in the USA and other countries. Dr. Fei envisions that biomedical imaging will be a leading force in a new era of precision medicine where quantitative methods of engineering and systems sciences have a pivotal role in disease detection, diagnostics, and treatment. The mission of his research lab is to shape and advance the science and technology of biomedical imaging through innovative research and inspiring education, with the goal of becoming a destination laboratory internationally recognized as a first choice of both researchers and students. In 2017-2020, Dr. Fei serves as Conference Chair for the International Conference of SPIE Medical Imaging: Image-Guided Procedures, Robotic Interventions, and Modeling.